Autumn and Winter are great, just not for taking photos or for putting on morning make up due to the lack of natural light. I wanted my makeup to be on fleek so I started to look for solutions. 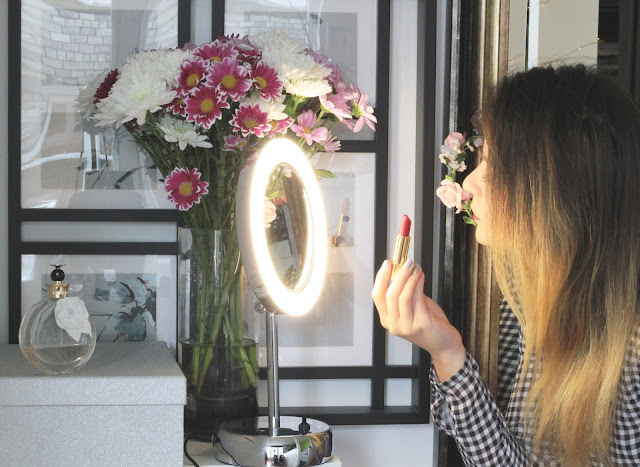 I tried it all, starting from changing the light bulbs, moving my mirror closer to the window, trying to make the best use of a bedside cabinet lamp. The thing is that I like to be as close to a mirror as possible and see exactly what I am doing. I have been through all of it but nothing seem to be easy and convenient enough to use it everyday. When I was approached to try a LED Vanity Mirror I thought that chances are that I am not going to be impressed. Boy, I was wrong! I should have got one a few Winters ago. It could have saved me quite a few make up embarrassments hello well blended bronzer, goodbye orange lines!. The mirror came in a white box and an instruction manual. It is so straight forward to use that I would be really surprised if I managed to damage it. Nevertheless I did have a quick read just in case. Freestanding mirror is not to big so it fits easily on my IKEA shoe cabinet. It looks very clean, stylish, stable and would look great in any bathroom. Because it does not weight a lot I can move it around when I decide I would rather have it elsewhere. The LED lights makes so much difference when applying make up and sorting out my eyebrows. It gives a very clear reflection, nothing will hide away! Especially when rotating to the 3 x magnification side, which is fantastic for sorting out your eyebrows. Just rotate it, decide what angle is best and start your morning routine. Morning make up stopped being an inconvenience, it’s a pleasure. I can finally start playing again with bold red or berry lips, and eyeshadows in all colours of the rainbow rather than playing it safe. I was impressed and now I'm hooked! How do you deal with winter makeup? This is perfect! 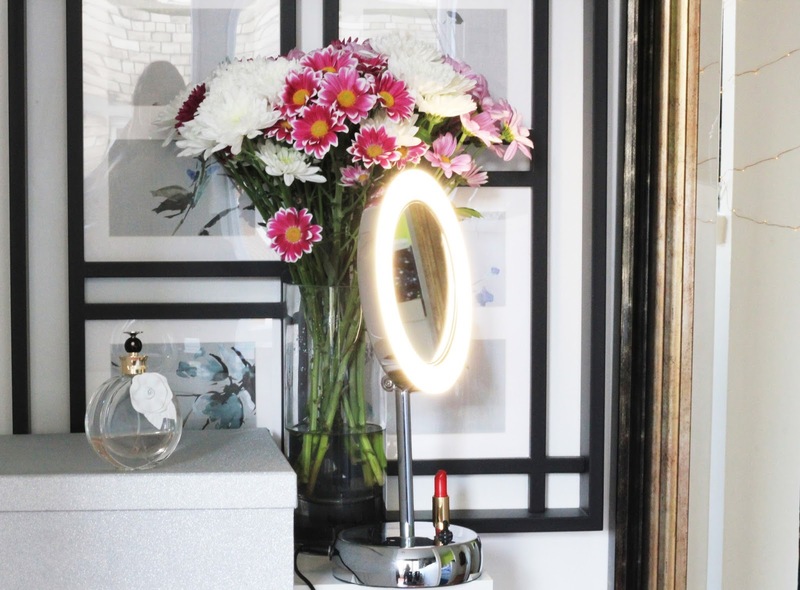 I've been looking for a LED makeup mirror for a while now but usually they are very expensive! That lighted mirror looks amazing! I don't think I would get one though since I don't wear makeup too often and can apply my mascara without much lighting. It would actually be really great to me for applying my lipstick though. Looks like a reliable led mirror! I'm sure my daughters would love to have this. There's nothing better than having a good lighting for make-up! That is very convenient! I know how challenging it is to put on make-up when you don't have good lighting. I wonder though how you'd replace the light if it goes out permanently in the future - or where to buy it? I'd definitely get myself one of those. No kidding about the bad lighting during Winter. I left the house today and finally noticed my eyeshadow was patchy as hell when I check my makeup in the car mirror. Ugh! I'll need to buy this for myself soon. It's VERY convenient! I would say that it would be a perfect gift for me when I was a teenager. I need one of these so, so bad, but because I'm travelling next year I'm desperate to find one that folds flat so I can take it with me!